Two ground floor rentals, each with the second bedroom located upstairs, next door to one another on the oceanfront in South Mission Beach. 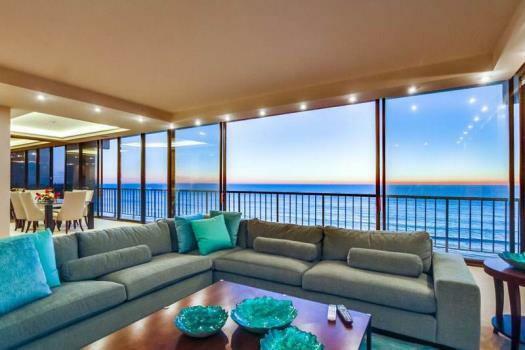 Each property features a private front patio with BBQ and common area tables with umbrellas, not to mention fabulous views of the beach and ocean. Additionally, the surrounding area in South Mission Beach consists of multiple restaurants, bars, shops. Directly across from the properties, on the sand, is an oceanfront park. There are multiple volleyball courts, basketball court, picnic areas, public beach, and also the entrance to the San Diego Bay. 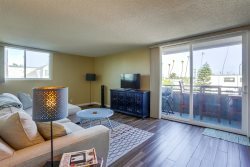 Only a 10 minute walk from Belmont Park and located just north of Ocean Beach. Parking: 2 Tandem Garages. Sleeps 12, non-smoking.